Rainer is Professor of Modern European History at the University of Essex and the programmer of the University of Essex’s annual Holocaust Memorial Week. In today's blog, Rainer introduces us to two Roma survivors of the persecution in former Yugoslavia during the Second World War. Around 15 years ago, the poet and human rights activist Paul Polansky interviewed Roma who lived through the Second World War in various parts of former Yugoslavia. These oral histories document the diversity of the Roma experience of oppression and persecution in south-eastern Europe during this period. One of those interviewed was Katica Djurdjevich. She was born in 1921 in the small Croatian village of Viri into a Lovari Roma family. She grew up in the traditional Lovari way. Her father travelled with a horse and a wagon through the neighbouring villages selling bits of household goods and helping out on the fields, while her mother was a fortune-teller. Katica married very young and quickly had two children. Her husband Milan Shain was a Kalderash Rom, and she moved to Pitomača in northern Croatia to join his family, where she supported the family’s income by fortune-telling – a skill she had picked up from her mother and her grandmother. While most Roma in rural Croatia had always been poor and lacked access to education, it was only when the war came to Yugoslavia in 1941, and the Ustaše puppet state of Croatia was set up, that they were subjected to violence and abuse. Ustaše men roamed the countryside forcing Roma to work in the fields. Many Roma women were raped. One night the Ustaše rounded up the Roma of Pitomača and made them play and dance for cheap thrills. Katica remembered being hidden on several occasions by her husband when Ustaše men forcibly entered their house. She was constantly living in fear. The first to be taken away were Katica’s family in Viri. They were deported to Jasenovac concentration camp where they were murdered. Katica’s husband and uncle were selected for forced labour in Germany because of their physical strength. Then one night towards the end of the war, Katica, her two small children and the remaining members of her husband’s family were also rounded up, put on cattle cars and transported to Jasenovac. When they reached the camp after eight days, they were informed that they could go home again. 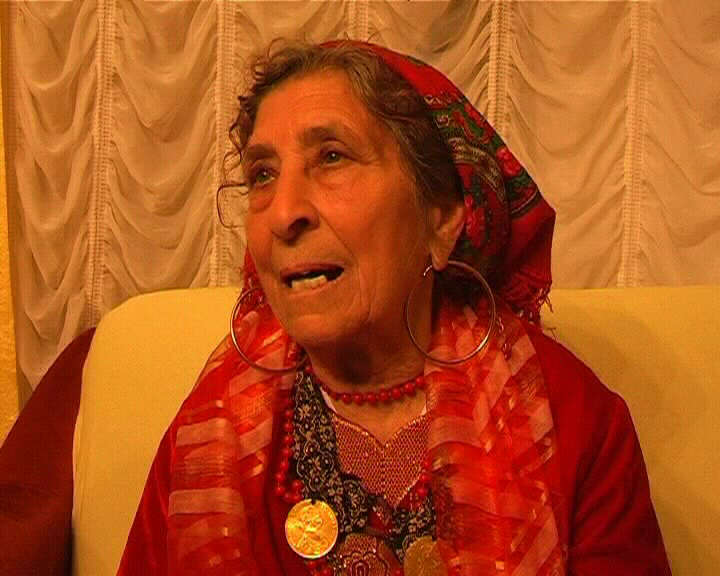 Orders had changed and, as ‘non-nomadic Gypsies’, they would no longer be incarcerated. They were sent back to Pitomača in the same cattle cars, but when they arrived they found their houses looted, broken or burnt down by the Ustaše. Remzedin Durmishevich was born in 1923 in Niš, southern Serbia where his family lived in the Roma neighbourhood. His father worked in the railway workshop, his mother stayed at home raising the four children. When the German army occupied Serbia in 1941, most Roma men from Niš were taken to Crveni Krst concentration camp, where some of them were murdered, while others, including Remzedin, were made to work for the Germans. They had to wear yellow armbands identifying them as Roma. In 1942, Remzedin was deported to Germany for forced labour, together with his 14-year-old brother, and was made to work in a factory in Osnabrück, north-west Germany. He managed to escape in 1943 with a forged vacation pass and secretly returned to Niš where he found his mother and remaining brother and sister hiding in the ruins of the old Roma settlement. Remzedin joined the communist Partisans fighting against both German troops and the Serbian nationalist Četnik militias. He felt the Partisans did not discriminate against Roma and did not use the term ‘Gypsy’. These stories show the different ways the Roma were brutalised during the period of the World War Two but, perhaps even more disturbingly, they also point to the continuities of Roma discrimination and anti-Roma racism from the period before the war to the post-war period, right through to the present day. Photo credit: Copyright Paul Polansky/Kosovo Roma Refugee Foundation, Niš, Serbia.